Physical Restraints in Iowa Nursing Homes | Hupy and Abraham, S.C.
Can restraints be used in Iowa nursing homes? 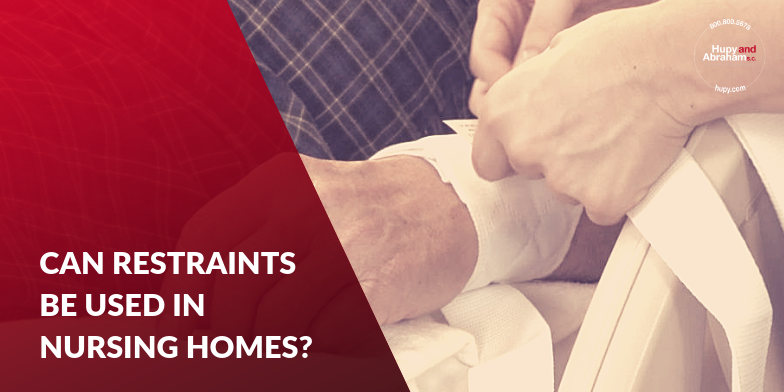 Yes, there are some situations when physical restraints may be used in Iowa nursing homes. However, physical restraints may only be used in very specific circumstances and may not be used for the convenience of nursing home staff. To treat a resident’s medical condition. With the consent of the resident or the resident’s legal representative. In such a way to allow residents to receive adequate exercise and to allow residents to perform their activities of daily living. Restraints should only be used by trained staff members. Restraints that are more restrictive than necessary to care for a resident’s medical condition may be a form of nursing home abuse. Nursing home staff cannot, for example, use restraints to manage a resident’s behavior because the nursing home is understaffed or because nursing home staff do not want to deal with certain behaviors. Restraints can lead to a host of injuries including feelings of isolation, anxiety, depression, bruising, bedsores or even death. If your loved one has been injured due to an unlawful restraint in an Iowa nursing home, then you can encourage your loved one to talk to an experienced nursing home injury lawyer. Your loved one deserves to live with dignity and respect and not to be restrained for the convenience of others. Any injuries that result from improper restraints should be investigated and the right people should be held accountable for any nursing home abuse injuries. To learn more about your loved one’s rights, please download our FREE Guide for Nursing Home Abuse and Neglect Victims, and contact us today for a free consultation in one of our conveniently located Iowa offices or in a location that works for you.